With the preponderance of skincare products on the market today it can be nearly impossible to keep up with what you’re applying to your skin on a daily basis. Labels are often confusing, in foreign languages or just plain incomprehensible (Croton Lechleri? Snail Mucus? Excuse me?). So trying to get your head around what is okay to use with what or combine with what can be more discombobulating than chemistry class. But regardless of how many double takes you do when scanning the label or how many times you have to Google this or that it’s still vitally important that you understand what skincare products you can and, just as importantly, can’t combine. After all, the point of using these products is to look and feel great, not to buy a trip to the emergency room. 1. Don’t mix Vitamin C and Alpha Hydroxy Acid – Alpha Hydroxy Acid (AHA) is a powerful exfoliant that will pull the rug out from under Vitamin C rendering it inert and ineffective if the two are used together. That’s because the pH of AHA is so strong. Used alone AHA does a bang up job on acne, fine lines and hyperpigmentation and Vitamin C helps protect against age-related damage. Used together however they wind up canceling each other out. 2. Don’t mix Benzoyl peroxide and BHA – Combining exfoliants is a questionable enterprise that could lead to tolerability issues. Should you decide to combine, say benzoyl peroxide and a Beta Hydroxy Acid (BHA) like salicylic acid, you run the very real risk of causing irritation that could end in peeling and redness. 3. Don’t mix Acne treatments and Retinol – The function of Retinol is to create smoother looking skin and minimize the appearance of fine lines. The role of certain acne treatments that contain salicylic acid or benzoyl peroxide is to dry up blemishes and remove old or damaged skin cells. Separately they do a great job. Together they’re going to irritate your skin to the point where you’ll be looking for something, anything that will provide relief. 4. Don’t mix Antimicrobials and Probiotics – The ability of probiotics to reduce skin inflammation and reduce flare-ups of dermatitis is well known. What isn’t so well known is that if you combine probiotics with antimicrobials – like those in many popular anti-acne creams – the antimicrobials attack the bacteria in the probiotics rendering them moot. If you’re ever tempted to combine your probiotics with popular antimicrobials like tea tree oil, citrus, and benzoyl peroxide, don’t. 5. Don’t mix AHAs, Retinol and the Sun – It may seem like a good idea to combine AHAs and Retinol. And it is; if your goal is to create red, irritated skin. Not only that but both will increase your sensitivity to light from our neighborhood star meaning you’re much more susceptible to sunburns than you otherwise would be. The moral? Don’t mix AHAs and Retinol and if you plan to use one or the other make sure you’re well slathered with sunscreen before going out. 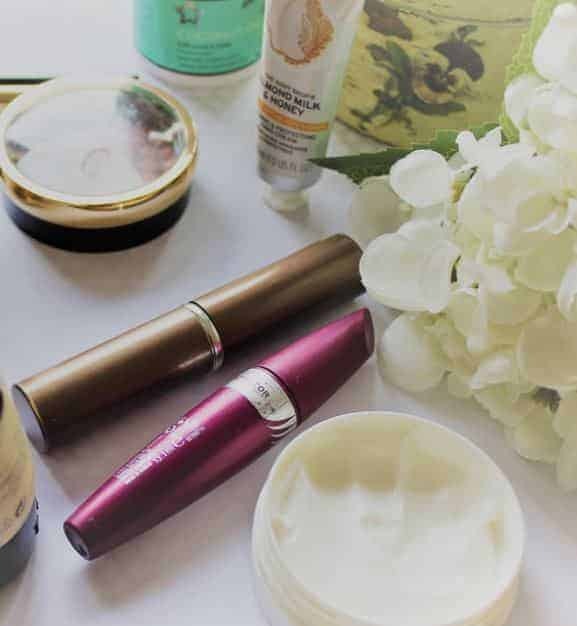 Now that we have a better idea of the skincare products we shouldn’t be combining let’s take a look at a few that actually complement each other. 1. Do mix AHAs or Retinol and Hyaluronic Acid – Exfoliants by nature are hard on the skin and can leave it feeling a bit raw and dry. Offset this effect by using hyaluronic acids. They’ll provide a needed moisture boost while at the same time allowing the exfoliant to penetrate and do its job. Best of both worlds that. 2. Do mix Vitamins A, C and E – A, C, and E are all powerful antioxidants that play nice together and can prevent collagen breakdown and the resulting breakdown in surface integrity. Vitamin A gets to work on wrinkles, Vitamin C helps smooth out skin tone and mitigate hyperpigmentation while Vitamin E puts up a stout defense against free radicals. It’s important to note that A and C will penetrate into various strata of the skin also neutralizing free radicals as they go. So do what your momma told you to do: take your vitamins. 3. Do mix Retinols with SPF – If you’re using either a retinoid or retinol, it’s crucial that you use sunblock with SPF 30 protection or more as well. This is because your retinol is going to leave your skin feeling a bit raw and exposed, (mainly because it is raw and exposed). In this temporarily compromised state, your skin needs robust protection from the sun. So if you find yourself heading out after exfoliating, make sure you slather yourself up with at least SPF 30 to prevent serious sun exposure problems later. Keep in mind that after you use a retinol or retinoid, its effects will last for days and so don’t forget to continue using the sunscreen for several days after using the retinol. Remember also: exfoliant at night, sunblock in the morning. 4. Do mix Sunblock with Antioxidant Serums – Antioxidants help protect against UV radiation while also providing a shield against environmental pollutants and defending against the production of free radicals. You can boost the effectiveness of antioxidants by pairing them with sunblock of at least SPF 30. Apply the antioxidant first and then the sunblock and go through the day confident that your skin is well protected against some of the most common and dangerous threats to its wellbeing. 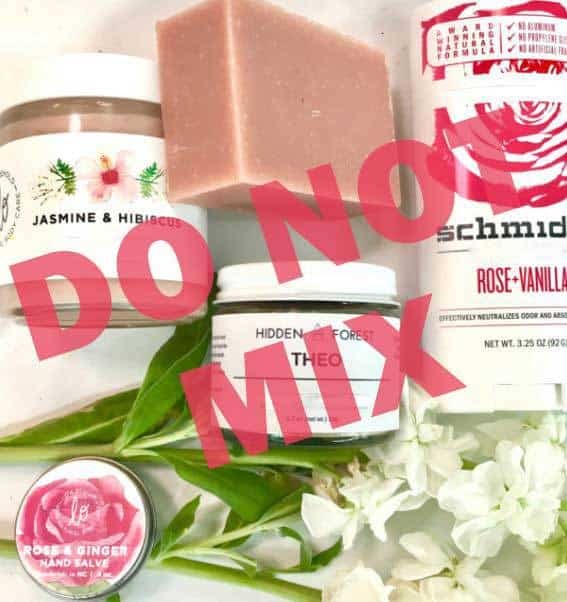 Take these tips to heart and start enjoying a higher degree of effectiveness from your skincare regime along with fewer incidents where mixing skincare ingredients creates irritation, soreness, and dry, painful skin.